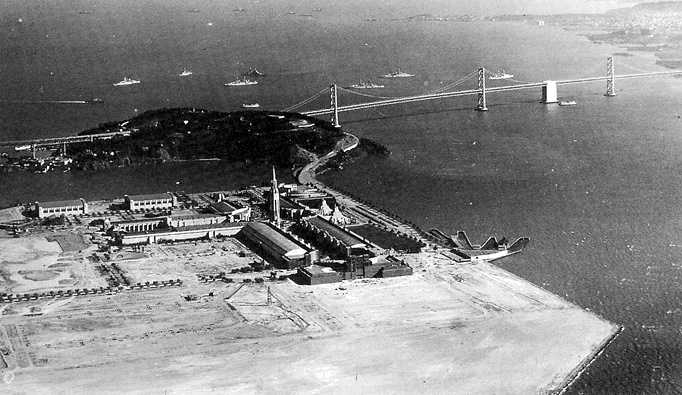 Treasure Island taking shape in 1938. After two years as a celebratory World's Fair, it became a military base at the outset of WWII. Yerba Buena Island ("Goat Island") is at left of center. 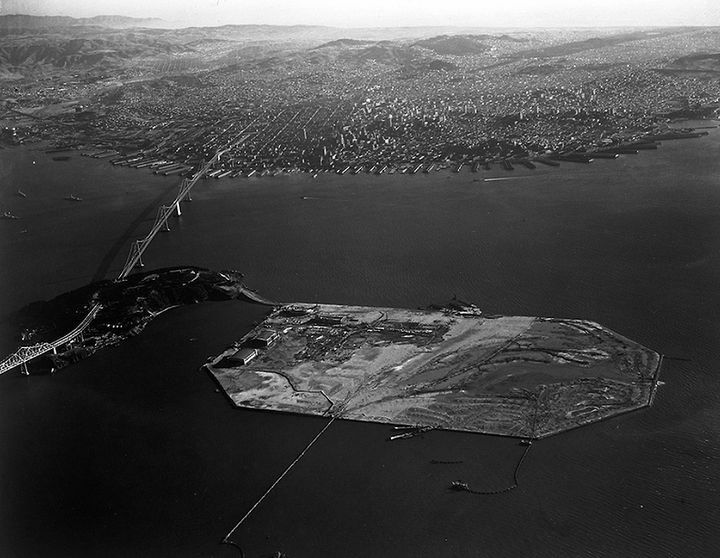 Treasure Island view from the air, Oct. 11, 1940. 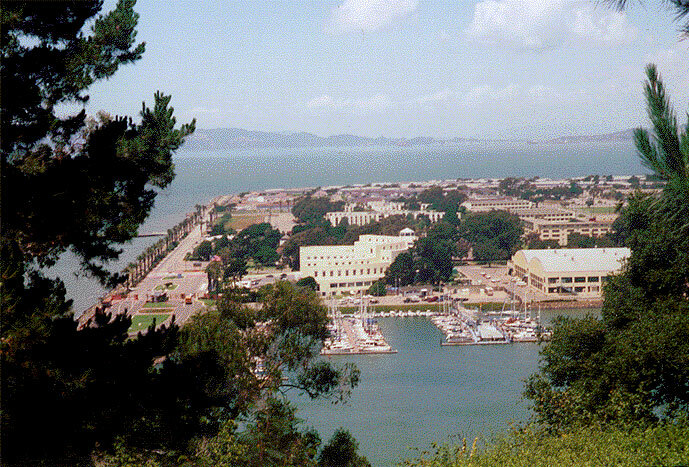 1997 view of Treasure Island from Yerba Buena Island just to its south. Building in lower right is being used as a movie studio, while the entire island is about to be given back to the city of San Francisco. There is a lot of seismic and toxic mitigation work ahead to make it useful. The building in the center was a Nazi airport in an Indiana Jones movie.